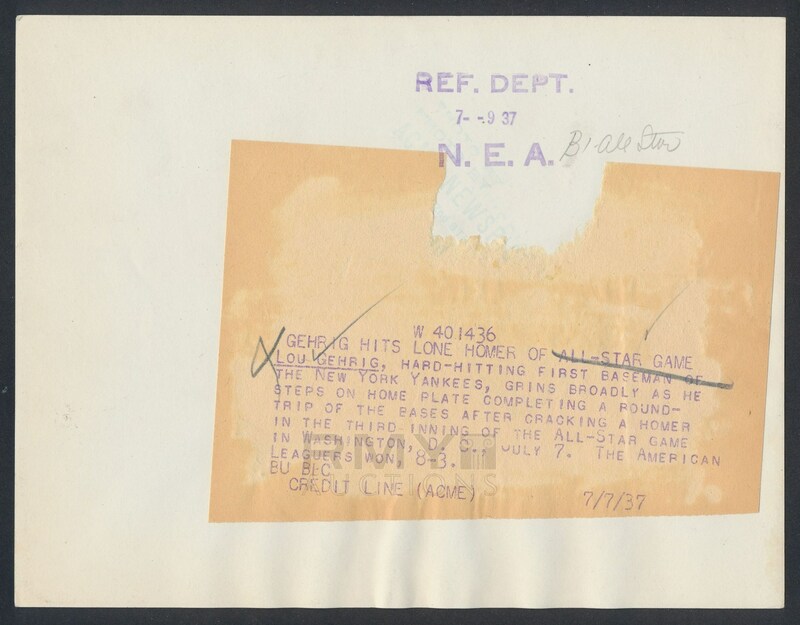 Lot # 41: 1937 Lou Gehrig, All Star Game Home Run "Smiling as He Crosses the Plate" 10/10! 1937 Photograph from the All Star Game in Washington DC showing New York Yankees Hall of Famer Lou Gehrig as he crosses the plate with the only home run of the game. Looks like he tried to hide his joy from the other team but couldn't hold it any longer as he turned toward his teammates. 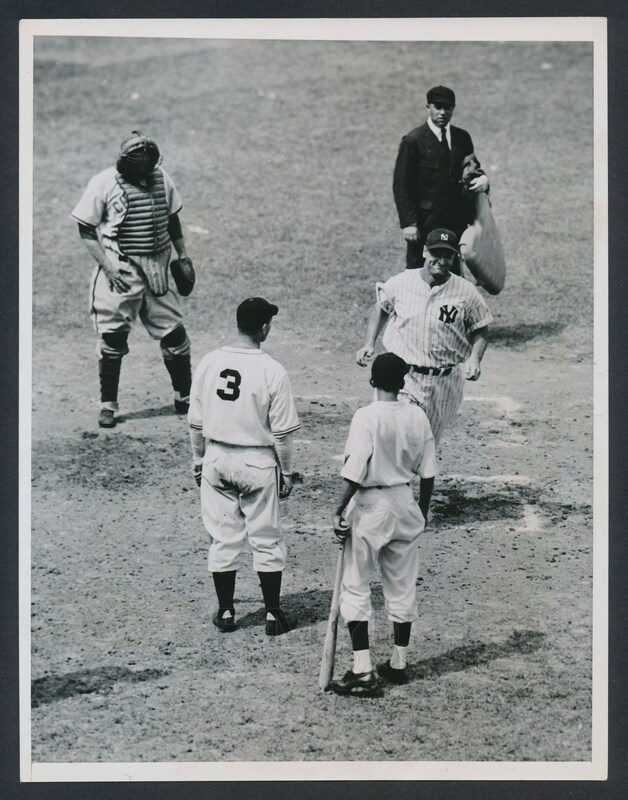 The umpire looks on in awe, still staring at Gehrig as he continues toward the bench while the catcher looks to the ground, dejected. The photo is a clear and bold example from Acme in great shape making it a 10/10! An investment quality image in perfect shape!